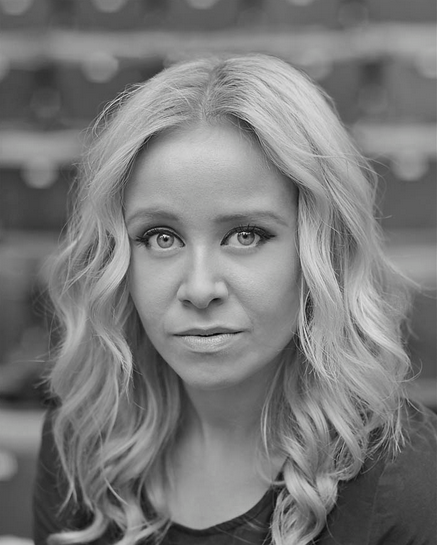 Since her first appearance as an 18 year old on Andrew Lloyd Webber’s search for Dorothy in Over The Rainbow, Jenny Douglas has made a huge impact on the musical theatre scene. Personally headhunted by Queen’s Brian May to star in the tour of We Will Rock You, she has gone from strength to strength as a performer, with her powerhouse voice winning her a legion of fans the length and breadth of the UK. I had the chance to catch up with Jenny to ask her about her phenomenal achievements in the few short years since leaving Over the Rainbow. You’ve just finished your first pantomime as Cinderella back home in Scotland; how does the panto experience compare to something like We Will Rock You? Cinderella was my first Panto and I wasn’t quite sure what to expect as it’s so different to anything I’ve done before! I had such a blast at the Kings! There is so much audience participation to keep you on your feet! And with an audience like Glasgow there’s never a dull moment! Panto gives people a chance to let go and get involved. 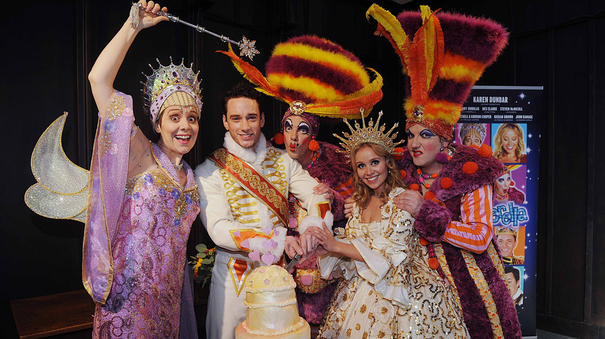 Did you learn any panto tricks or tips from your co-stars? I fell ill towards the end of the run and the term “Hot Toddy” got thrown around a few times! Basically – have a wee whisky to coat yer throat lol! You’ve achieved so much at such a young age, can we go back to where it all started? When did you discover that you had a talent for performing; was it at a very young age or did anyone or anything in particular inspire you to pursue a career in theatre? I have always loved musical theatre; it’s a big family thing. I’ve always loved changing my voice to different characters and styles it’s just so much more fun than straight up acting or singing! 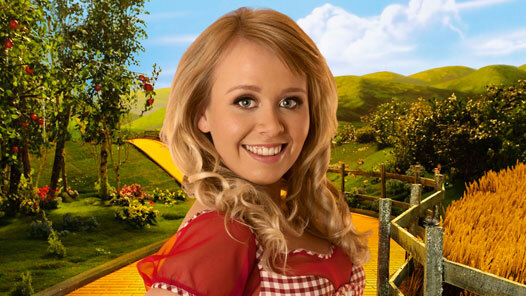 We can’t go without mentioning Over the Rainbow; what are your best and worst memories from your time on the show? My best and worst memory from Over the Rainbow was when we were at the Dorothy Farm with the final 50 girls. We were split into groups and asked to perform our final song and then the judges would whittle it down to the top 20 for the live show. Once we had performed we were asked in true reality TV style to line up and sing “Over The Rainbow” repeatedly. Charlotte Church was given the awful task of then walking around the lines of girls and tapping the unsuccessful girls on the shoulder and that would be the end of their journey. Charlotte did so well to remember all the girl’s faces from the photos she was given but had accidentally tapped my shoulder. I knew this was it for me and joined the other girls who were going home… It was safe to say I was gutted. The final 20 where left and it was then that a producer came towards me and said: “You’re meant to be over there Jenny” You can imagine my absolute disbelief and pure joy as I joined the final 20! I’ll never forgot how that felt, all in a matter of 3 minutes I had experienced both sides! A total roller-coaster! You interrupted your training to appear on Over the Rainbow, is there anything you regret about giving up your studies? Have you changed as a performer since we saw you in Over the Rainbow? Absolutely! I was 18 when I auditioned for Dorothy and I had no training or experience behind me which wasn’t great for my self-confidence, especially being surrounded by so many talented girls: some who had trained for years at top London schools and others who had even done West End shows! It was safe to say I felt out of my league! It’s the same as any job there’s always going to be people who excel in things you don’t, the important thing is to believe in your own abilities and give it everything you have! 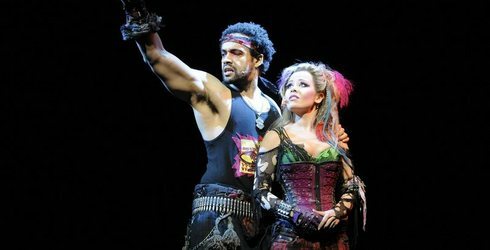 In a short time you went straight from appearing on TV to a starring role in We Will Rock You. It must have been a complete whirlwind, how did your life change after these amazing things started happening? By this point I had just turned 19 and I was about spend 18 months away from home which was really hard to comprehend. I’m really independent but without sounding cheesy “There’s no place like home” ha ha! I actually met my boyfriend on the tour and we have lived together for just over two years now and that was something I never expected to happen! I also got my courage up and climbed Kilimanjaro in the summer – it was a truly awesome year! Meatloaf is such an iconic stage role. How did you make your own mark on the character? I saw “Meatloaf” as this real comical character. She is one of the Bohemians searching for the lost music, a scavenger who has just happened to rummage across a studded corset, ripped denim shorts paired with some fishnets, suspenders and zip-up biker boots! She stomps around on stage, never crosses her legs and barks orders at all the other Bohemians…. Including her other half Britney Spears. In short; she’s the Boss, she wears the trousers… well hot-pants! Two of the actresses who have played Meat (Kerry Ellis and Rachel Tucker) have gone on to play Elphaba in Wicked; would that be a role you’d like to play? I’d love to, a girl can only hope. Are there any other stage roles that you’d love to play or shows you’d like to be in? Oh jeez there are so many…I don’t know how much space you have! I’d love to do Mamma Mia and My Fair Lady… If Calamity Jane ever comes back I’d be on it like a car bonnet! In a long tour like We Will Rock You, you’re away from home for long periods of time, what home comforts do you take with you? What interests do you have away from the stage? I play my guitar in any spare time I have and I occasionally paint, but I am truly awful at it.. I think I just like to get messy. Honestly, as far as theater goes it’s just such an unstable job to have I’d be happy just to work consistently. I’m easily pleased. I would like to be able to get to a higher standard on my guitar as at the moment I’m just starting to comfortably accompany myself. What advice would you give any aspiring performer? “It’s never a NO… It’s just not right now.” Auditions can be tough and you can face a lot of rejection, The important thing to remember is to believe in your abilities! What have you got planned for 2013 and beyond? Auditions. Auditions. Auditions… and unpacking as I’ve just moved flat … not got round to it yet he he!